While full-time travel as a family is amazing, it is even better when friends and family want to fly in to experience a bit of your life. If you can’t met up with a another Fulltime Family, then invite family to meet up with you on the road. 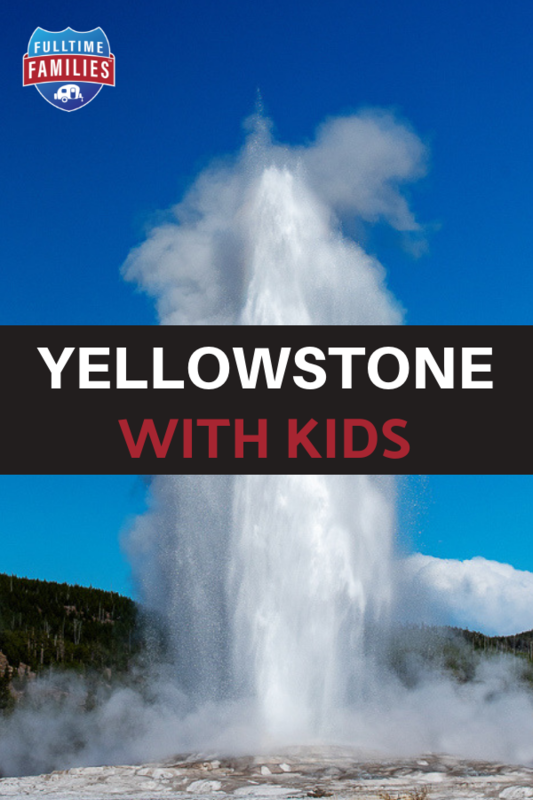 A great place for multi-generational fun and learning is National Parks, and Yellowstone and Grand Tetons are two of the best, and because they are so close to each other it is easy to see both in one trip. Make sure to pick up Junior Ranger books on the way into any National Park. They are a great way to get in some fun roadschooling activities. Oh, and despite the name, they are available to all! So they can be a great project for grandparents or aunts and uncles to work on with the kids. A special thanks to Eagle Peak Lodge for hosting our stay. All opinions are our own. 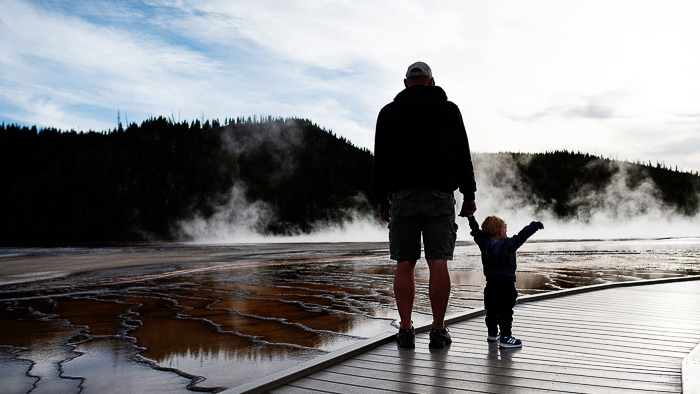 While Yellowstone could take months to fully see and appreciate, even a day trip is still worth the time. 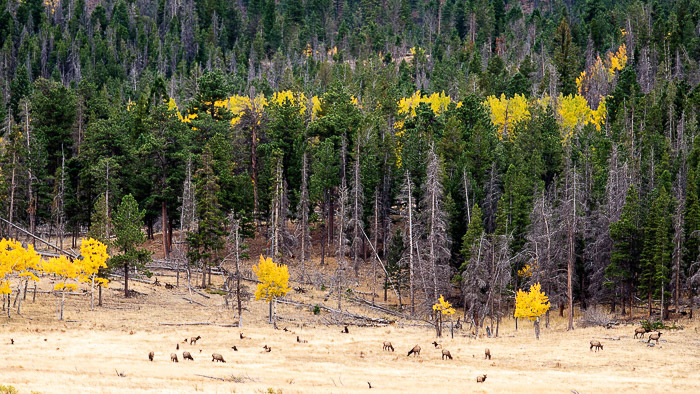 Entering from the west entrance brings you past rivers and fields full of elk and bison. Heading south on the Grand Loop, you will pass a variety of geothermal features culminating at Old Faithful, about 30 miles from the entrance. 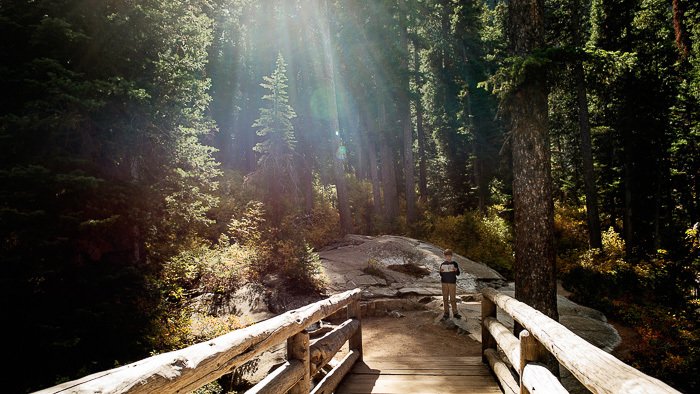 On the way, it is worth stopping at Lower and Midway Basins to spend 30 minutes to an hour walking each boardwalk. The Old Faithful area can easily take all day. It includes a Visitor’s Center and museum, several restaurants and stores, the lodge, picnic areas, and of course Geysers. 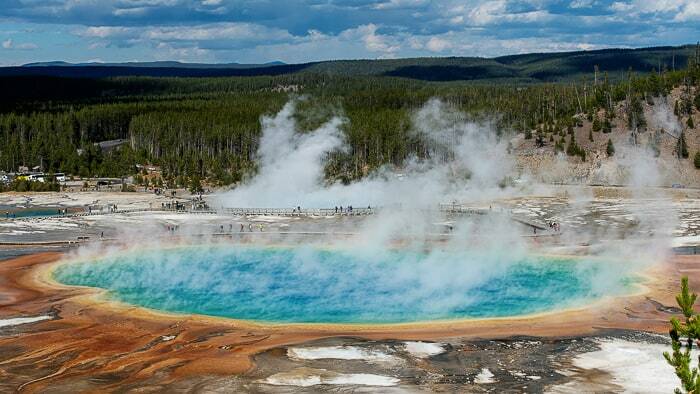 The Old Faithful Visitors center has predicted times for several geysers. This is a great place for a picnic lunch or restaurant dinner before heading back out of the park. If you leave in the evening you will likely be driving into an amazing sunset, remember to keep watch for animals! Take a day, or more if possible, to visit Grand Teton National Park. The loop for this park can be done in a day or two, with some stops for views and short hikes. From the South take Moose Wilson Road to Teton Park Road, then return on 191. If time allows, pass 191 and go a few more miles to Coulter Bay Village, where you can turn in your Junior Ranger books. For the ride back, 191 will give a different, more distant view of the peaks and ends in Jackson, Wyoming, which is a great place for dinner. 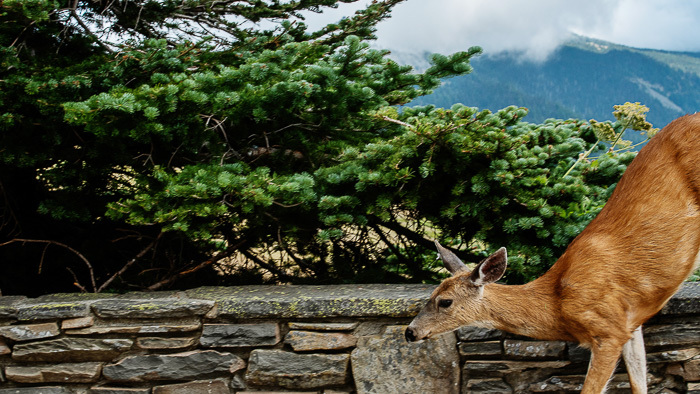 There are many options of places to stay while visiting the popular National Parks, and they are hours apart. 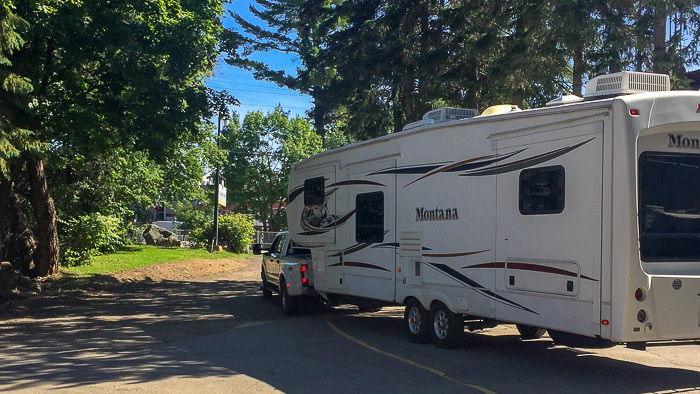 There are accommodations at the north end of Grand Teton (just south of Yellowstone) that have a great location but are out of budget for many travelers, especially when trying to find an RV park with a hotel or cabins nearby. Ashton, Idaho is the perfect compromise between price and location if you are trying to visit both parks during the same trip. The drive to West Yellowstone is about an hour and to Grand Teton one and a half hours. Yet the drives are beautiful and worth the views! Ashton is a small town in Idaho named the Seed Potato Capital of the World. There is a small, but reasonably priced, grocery store in town to get the times you need. It also has a gas station and a fly shop/liquor store. Be warned that there are few options for eating out, but there’s a car wash large enough for trucks and RVs! 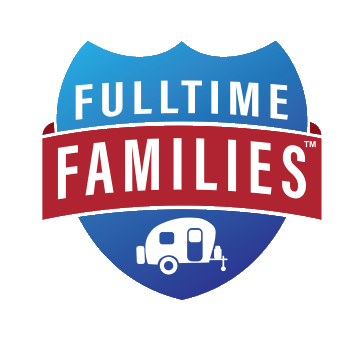 When traveling with family, our challenge is finding an RV park for our family RV and cabins for the extended family. Often times, many full-time RV families would be happy to find some BLM land to boondock on while traveling out West. Yet, in this instance, we were looking for Cabins. Cabins are great because they often have a kitchen area as well as separate rooms for sleeping and relaxing. We stayed at Eagle Peak Lodge and RV. They offer both a hotel and an RV Park with cabins. The full hook-up $30-RV sites are level with gravel parking areas. The $180-cabins are new and clean and include daily cleaning. The RV park sits well back from the main road, so there wasn’t a lot of road noise. Directly behind the park is farmland, with the Tetons in the distance. 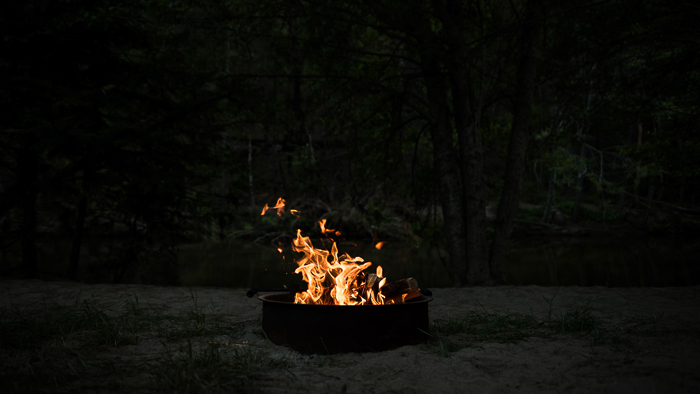 There are few trees but there is enough room between sites to sit at a fire and enjoy the sunset. If you have a day without plans, the Mesa Falls scenic byway, with a stop to view both Upper and Lower Mesa Falls, is worth the one-hour loop drive. Idaho Falls is less than an hour south and has a variety of stores and car rentals. The closest airports are Bozeman, Montana (2.5 hours), Salt Lake City, Utah (4 hours) and Boise, Idaho (5 hours). There is also a small airport in Jackson, Wyoming. Decide what else you would like to do in the area before choosing the airport, as it can be a bit spread out. Despite the driving times, a visit to Yellowstone and Grand Teton National Parks is a great way to spend a multi-generational vacation. We recommend checking out Eagle Peak Lodge in Ashton Idaho as a clean, well-priced option for both the RV park and cabins. If you make a trip of it, comment below and let us know what you think. Or, tell us about it on our Facebook Group! We love to hear about all the fun our members are having!